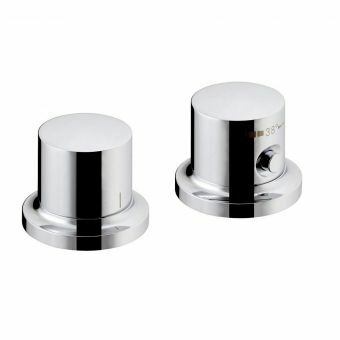 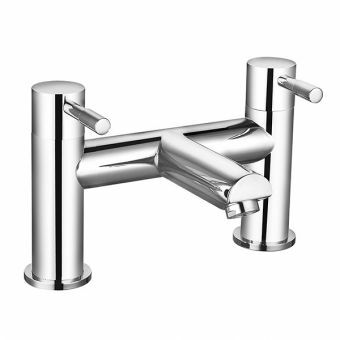 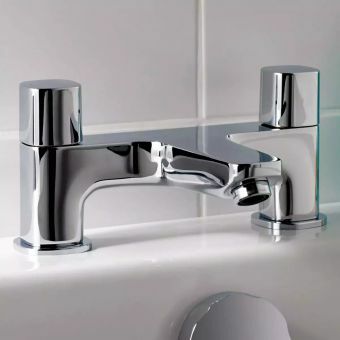 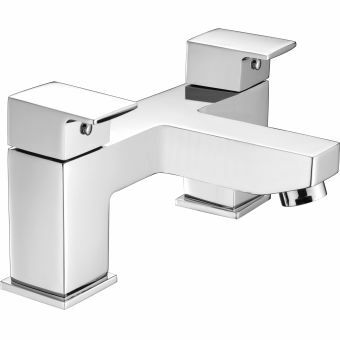 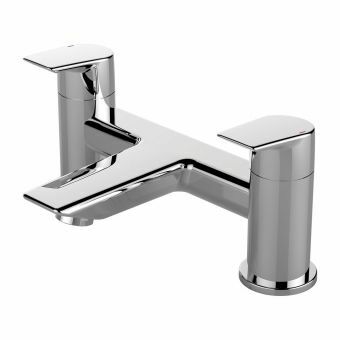 Using the Crosswater Essence Bath Filler is an effortless delight thanks to its strong and tough chrome surface that boasts a super slim profile and luxurious depth of shine not found on cheaper imported brassware. 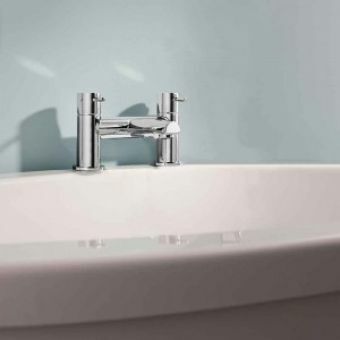 The Crosswater Essence Monobloc Bath Shower Mixer Tap completes the Essence Line-up and as well as providing you with oodles of hot water for your bath, it can be coupled with a thoroughly modern deck mounted shower handset from the Follow Me range. 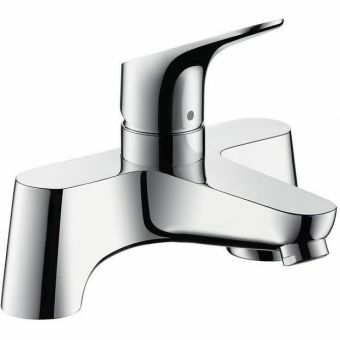 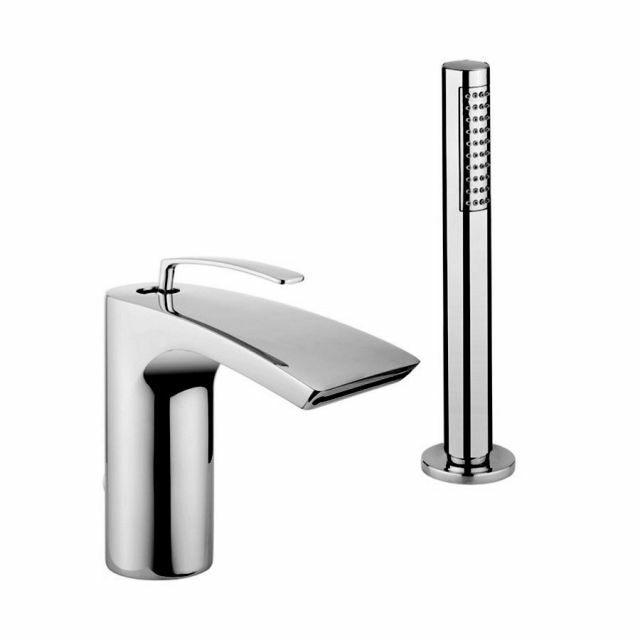 With a healthy spout projection of 128mm, it is controlled by a space-age joystick style handle that also lets you select the bath or showering functions. The spout is thin and wide giving a broad waterfall style fill for the bath while retaining intuitive control over temperature and water flow. 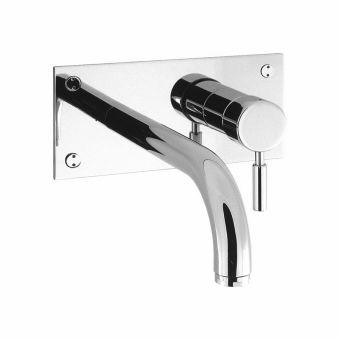 The filler can work from low pressure of 0.1 bar with the shower handset requiring 0.5 bar or above.